NEWTOWN, Conn. --- Ukraine and Peru have begun testing the new Tifon-2 tank. The Tifon-2 is a joint venture of the Morozov Machinery Design Bureau in Kharkiv, Ukraine, and Casanave (DISCA) in Peru. 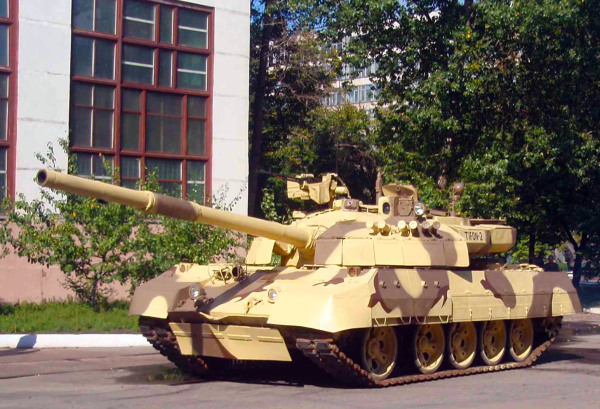 Based on the T-55 and T-55ATM tanks, the Tifon-2 is powered by a 1,050-hp 5TDFMA engine and has a top speed of 55 km/h. It will be armed with a 125mm KBM-1M with an automatic loader and come equipped with a computerized fire control system. Trials began earlier this month and included mobility, speed, and obstacle testing. The next phase of tests will cover weapons firings. Peru intends to replace its 300 T-55 tanks with the new Tifon-2. The Army has been interested in a replacement for several years now, with various upgrade programs considered as an alternative. Under the Army's Proyecto Arrascue, the service was procuring spare parts for the T-55s with the intention of eventually replacing the entire fleet.